My time here at The Washington Center, arranged and funded with the help of UT’s Honors Program, has been incredible so far. I am working at a lobbying firm in Alexandria, Virginia right outside of D.C. At the firm, I am a research assistant. I compile research for whatever project my boss needs me to and then write up briefs and packets to inform my boss of what he needs to know to present it to his clients. Some of the clients my research has been sent to include the Electronic Security Association, which is the largest home and business security trade association in the country, the top weather companies in the country, including the National Weather Service and NOAA, and the National Association of State Agencies for Surplus Property (NASASP), which deals with government surplus property issues. It has been awesome knowing that the work I have been doing these past few weeks is actually being received by the top people in these companies for lobbying purposes. 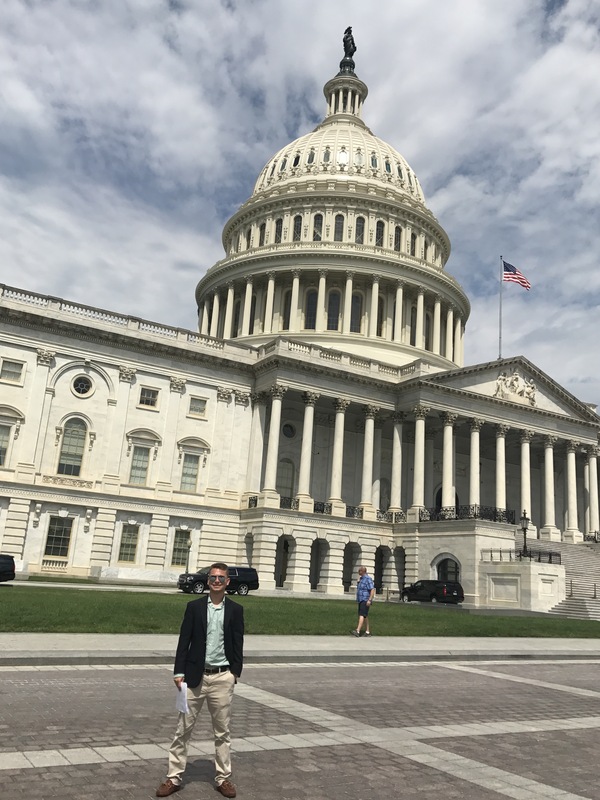 I have learned so much from my supervisor and have even been given the chance to go to Capitol Hill (see photo above) to help in the lobbying process of Representatives and Senators as well as to attend congressional hearings. Being in Washington, D.C. this summer has been one of the best experiences of my life.